Diabetes mellitus is a disease in which the pancreas is unable to produce enough insulin. The pancreas is the organ present behind the stomach in the abdomen. It secretes a number of chemical substances. Those substances which are secreted into blood are hormones and those which are secreted into the digestive tract for digestion of food are enzymes. Insulin is a hormone which is required for breaking down carbohydrates in the blood. Pancreas receives signals to secrete insulin when blood sugar levels or carbohydrate levels are high. When there will be no insulin carbohydrates will not be broken down and most of this sugar will be converted into fat and get deposited in the body. Diabetes is a serious health problem. It affects people regardless of their ethnicities. Many types of medications and the insulin injection itself serve to control the sugar levels in the blood but there is no cure for the disease available as yet. Type 1 in which the body destroys the insulin-producing cells of the pancreas as an autoimmune process. Type 2 in which the body develops resistance to the effects of insulin. In type 1 diabetes, doctors have no choice than to administer insulin right after diagnosis of the disease as the body is not producing enough insulin. Mostly, patients with diabetes type 1 are children or young people when they are first diagnosed. Insulin injections are administered according to set regimens. Baseline insulin level is maintained mostly by long-acting insulin whereas, for the rapid rise of glucose level after each meal of the day, short-acting insulin is prescribed. This is how sugar levels are maintained within normal limits. This is quite a tiring process for patients especially the younger ones who have to follow the strict regimens daily and for long periods of time. Strict blood glucose levels are required as there are numerous complications which can take place because of high blood sugar levels affecting eyes, heart, kidneys etc. There is also one life-threatening condition associated with high blood sugar levels i.e. diabetic ketoacidosis. In this condition, the patient can become unconscious. This condition is especially prevalent in patients of diabetes mellitus type 1. 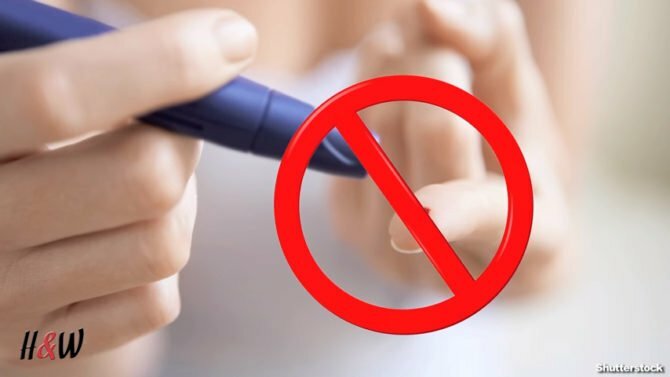 In patients of diabetes type 2, initially, when insulin is produced by the pancreatic cells, the disease can be managed by medications which decrease the resistance of insulin in peripheral tissues. As the disease progresses insulin secretion decreases. Hence, a patient with type 2 diabetes becomes insulin dependent gradually. Patient of type 2 diabetes is mostly diagnosed in the middle age. Many management options have been proposed over the last years like insulin pumps which administer the insulin according to the present rate over a certain period of time after recording the blood sugar level. In 2016, the US Food and Drug Administration authorized the world’s first pancreas. 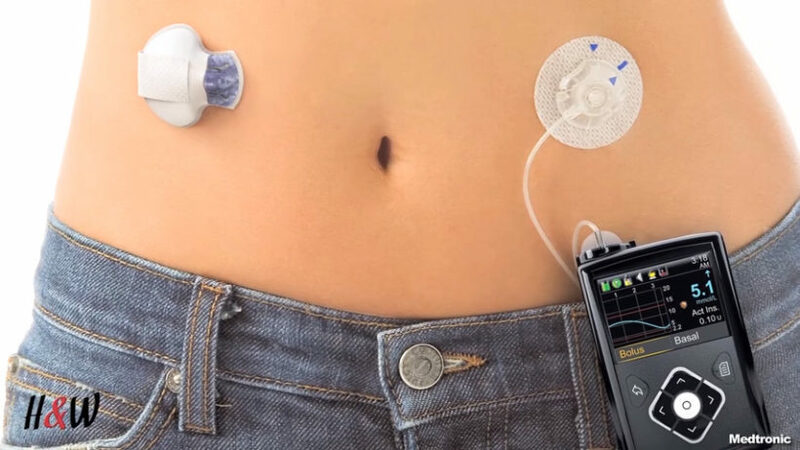 The device ‘artificial pancreas’ monitors the blood sugar and supply insulin automatically. It basically helps the diabetic patient to live an easier and simple life. Diabetes is a lifelong condition. It requires consistent attention from the patient. Now, the artificial pancreas enables the diabetic patient to live a simple and comfortable life. Through an artificial pancreas, the diabetic patient can live a normal life. Commonly, the diabetic patient uses insulin pumps to monitor when the glucose level is either too low or too high, in order to monitor blood sugar level successfully. Sometimes the diabetic patient dies in their sleep because they are unable to wake up at night and correct their glucose level. In this respect, the artificial pancreas can save many lives. The artificial pancreas is a system that consistently measures the blood glucose level and it is able to administer the insulin and glucagon in the right amount and at the right time. So, a patient with this illness is able to sleep without any worry. Technology enables the diabetic patient to live a life in a sustainable way. A DIY artificial pancreas is not a medical device. It is a system that uses your existing diabetic device (insulin pumps and CGM), a small computer (Raspberry, Intel etc.) and a radio stick that allows you to read data, run it and through an algorithm, and send commands automatically back to pump to adjust the basal insulin rates. How diabetic management can be improved? The diabetic management can be improved with many smart alarm systems. Reduce the average glucose level. The increased amount of time in target range. There is another outcome through which we can measure the medical technology and it is quality of life metrics. Reduce time spend dealing with the diabetics. People all over around the world are using the DIY closed loop systems. The artificial pancreas is a new way of diabetic management and it is a life-changing milestone in many patients’ lives when they first start using this device. Google patented a digital contact lens that can measure the blood glucose levels from the tears as an added benefit. It has a sensor placed under the patient’s skin, which continuously monitors the glucose level in the patient’s interstitial fluid. It is closely associated with the blood glucose level. The transmitter then transfers the information to the receiver. This is how glucose levels are continuously shown. Still, CGM is correlated with blood glucose devices, which seem to be more accurate. There is great hope in improving the CGM, which will not require correlation with blood glucose devices. It is software present in the external processor or controller. It receives information from CGM and analyses it. It performs a series of mathematical calculations. It then gives information to the insulin infusion pump about the dose of insulin required for the patient. The control algorithm can be installed on any computer, mobile phone or an insulin pump. According to the dosing instructions given by the control algorithm, the insulin pump provides the patient with an accurate dose under the skin of the patient. Patient’s requirements vary with the diet, exercise etc. So, the real success of the closed loop lies in providing insulin to the patient according to body requirement. These devices sense a low glucose level in the blood thus helps in reversing or temporarily suspending the insulin delivery. This helps patient not reaching dangerous levels of low blood glucose level. This system helps in delivering insulin according to the continuous glucose monitor. Hence, helps in maintaining blood sugar level providing insulin according to the body’s requirement. The second which provides glucagon to patients with low blood glucose levels. Food and Drug Administration first approved artificial pancreas closed loop system in 2016. Many trials are still going on for enhancing this technology. FDA is working together with several collaborations to bring enhancement to this innovation. It is also helping researchers in this regard. The main focus of the new technology is the safety of the product and a high standard of performance status. The artificial pancreas can give immense benefit in controlling diabetes. The varying levels of blood glucose levels and the symptoms they cause to the patient can be managed effectively. Moreover, it is a far more convenient way of measuring glucose as multiple pinpricks can be avoided and patients do not have to worry about the self-administration of insulin. a very useful article for diabetics… Must read….